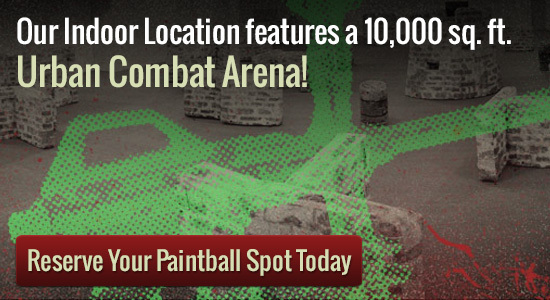 Fans of a paintball game typically want to find a reliable place where they just enjoy themselves and playing. They may be looking for a little variety, which can help keep their competitions interesting and challenging. If you enjoy paintball and live in the Minneapolis area, you should come check out Splatball. We are one of the most popular paintball destinations in the cities and many people have found that they can host the perfect paintball game here. If you haven’t ever thought of the right place for your team yet, think about talking to the staff here. They can show you some of the different courses that are available. Our Minneapolis indoor place is within the heart of the Two Cities. It provides a ten thousand square foot urban combat world along with the largest store/technical center in Minnesota. The complete facility is weather conditions handled for max comfort and ease. We have even a viewing location and private party place. Once you enjoy a paintball activity, you might need to incorporate some support to help keep the game running efficiently. The Splatball games heart can help you restore your paintball weapons to good operating order. They can re-fill Carbon dioxide canisters or provide you with more color balls, which you may acquire for just a nominal fee. This helps ensure your competition game runs easily. If you would like to find out more information about setting up games, talk to the knowledgeable staff here. They generally keep a detailed schedule of when other teams could possibly be looking to start up a competition.